They are being recognized for their work in the public-health sector. 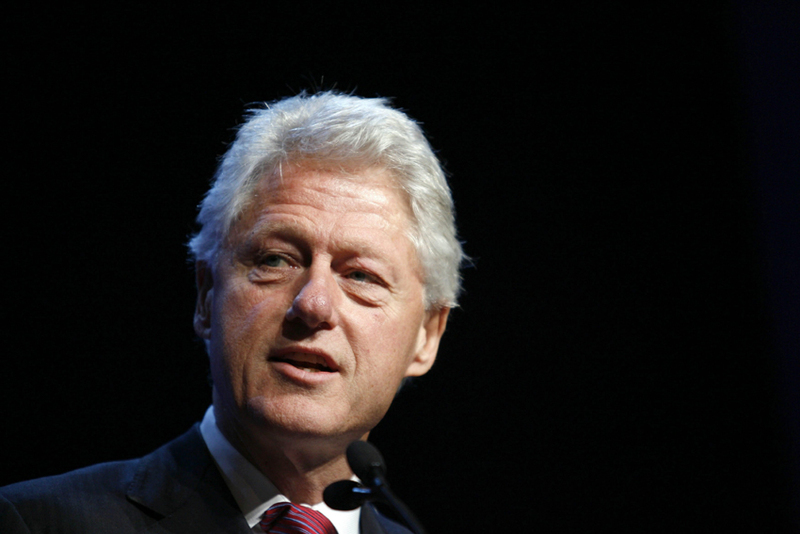 By Steve Annear·	 10/21/2013, 9:46 a.m.
Former President Bill Clinton and daughter Chelsea Clinton will share the stage at a Harvard University ceremony this week when they receive awards for their work in the public-health sector. During the Centennial Medal and Next Generation Award Ceremony on Thursday, hosted by the Harvard School of Public Health, President Clinton will be handed the one-time honor of the Centennial Award for “effective leadership” and “enormous global impact,” and for improving the health and well-being of people around the world through his personal foundation with his family. President Clinton is founder of the Clinton Foundation, which concentrates on addressing global issues, and strives for economic empowerment by connecting governmental and non-governmental agencies. The Foundation has staff and volunteers around the world working to improve lives through several initiatives, including the Clinton Health Access Initiative, which is helping 5 million people living with HIV/AIDS access lifesaving drugs. The Clinton Climate Initiative, the Clinton Development Initiative, and the Clinton Giustra Enterprise Partnership are applying a business-oriented approach to fight climate change worldwide and to promote sustainable economic growth in Africa and Latin America. President Clinton’s daughter, Chelsea, who serves as vice chair of the foundation, will receive the Next Generation award at the ceremony in Boston. Chelsea will be recognized for her work alongside her father, specifically focusing on the Foundation’s Clinton Health Access Initiative, which “strengthens health care and access to lifesaving services in the developing world.” Chelsea also spearheads the Alliance for a Healthier Generation, which fights childhood obesity in the United States. The Clintons will be recognized along with Jim Yong Kim, M.D., Ph.D., president of the World Bank Group, and Dr. Gro Harlem Brundtland, the former Prime Minister of Norway.